Launched 7 months ago, the objective of my blog was twofold. On the one hand, I wanted to provide you with quality information on neurofeedback, but also and above all, I wanted to get information on the subject. It is often not discussed very much, but popularizers also learn a lot as a result of their work and it is this desire to learn that pushed me to get started. 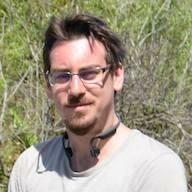 I won €0 through this blog. Since March, a lot has changed in my approach to Neurofeedback and my understanding of the technique. My meeting with Ruben Perez and Thomas Feiner was very enriching and I am writing an article/interview of Thomas and his IFEN certification (an improved version of BCIA&apos;s) because I think it is important for the French people to know what is being done elsewhere in the world. I also secretly hope to be able to interview you Thomas F. Collura from Brainmaster, because in my opinion, that would also be very interesting. But what has really changed is NeurOptimal. I had a lot of criticism and emails certifying that the NeurOptimal was Neurofeedback, that it was supported by scientific evidence, etc.... I spent time defending my evidence-based position and falling in the face of empty, argumentatively biased speeches. 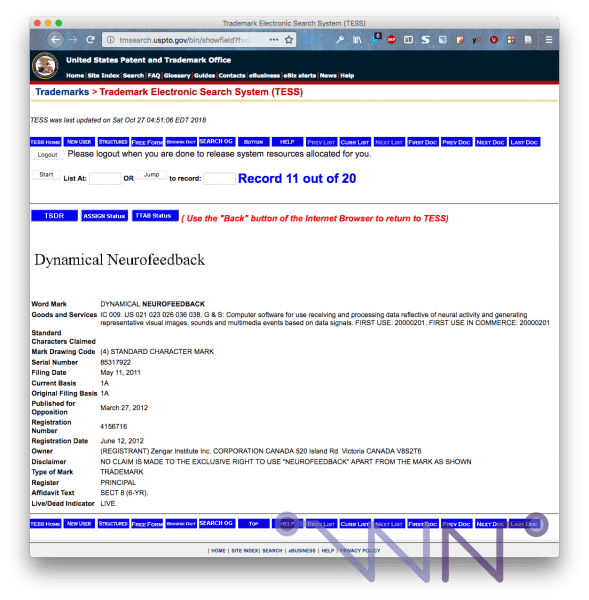 Today, thanks to you (well, an anonymous source), I can finally tell you: NeurOptimal is changing its communication, recognizing the therapeutic effectiveness of Neurofeedback and recognizing that it is none of the above. Finally, according to a NeurOptimal representative and instructor. NeurOptimal is committed to stop using scientific studies about Neurofeedback to promote its own solution. So, you know me now, let&apos;s go through it with a fine-tooth comb. The FDA is the Food and Drug Administration. According to Wikipedia (which we like, eh), "this organization has, among other things, the mandate to authorize the marketing of drugs in the United States". And this is the first wall I&apos;ve ever eaten myself. Why would an organization that manages drugs and food be interested in NeurOptimal? 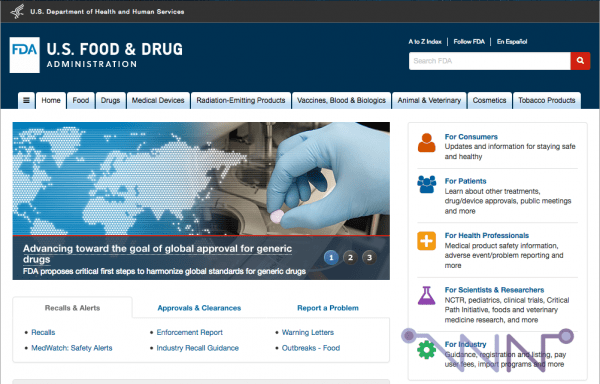 I mean, look at the FDA website. There are tabs for food, medicine, medical devices and lots of other very serious stuff. When I read the FDA&apos;s English Wikipedia page (more detailed), I find nothing about a classification that might correspond to NeurOptimal. But I&apos;ll be honest: it doesn&apos;t seem extraordinary to me that NeurOptimal has been "evaluated" by the FDA: this administration is perhaps larger than I think and we need to define precisely what this "evaluation" implies. It may just be paperwork to say that it is safe, without assuming any effectiveness. That is quite possible. So I searched the NeurOptimal website. Nothing. Nada. However, I noticed that they had removed their "Research" tab from the site (although the pages are still online using their search engine) and their communication has been changed. I still played on the FDA website, entering "NeurOptimal", "Zengar" and "Neurofeedback" everywhere, but I invariably came across the message "no records were found with Device: neuroptimal Decision Date to 10/27/2018"... so here it is. I still continued my investigation on the Internet, because so far, all the documents I have stipulated that NeurOptimal has not been evaluated by the FDA (for medical purposes). Here, it is mentioned that NeurOptimal has received FDA approval for use in relaxation. This is a little far from my previous articles, where I noted that NeurOptimal&apos;s communication advocated her ability to treat a whole bunch of pathologies. And I also pointed out in this article that NeurOptimal could be used as a relaxation device, as one asks the person to be calm. I like it when people say I&apos;m right, a little thought for yesterday&apos;s me who worked well. Well, you&apos;ve come to the right place. But this is no place for me. I am too young to commit suicide following a complete loss of faith in humanity in front of these conferences. 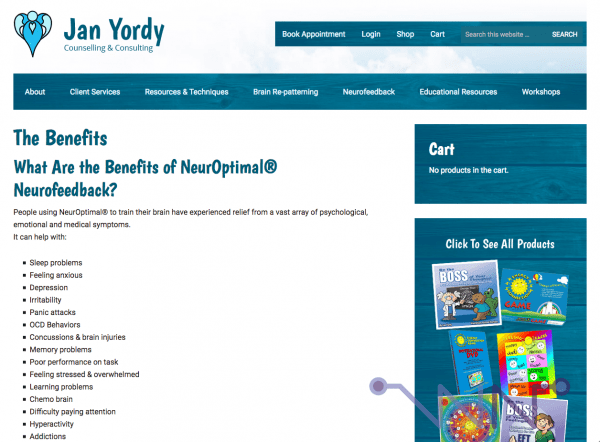 Then, on Yordy&apos;s website, she presents the NeurOptimal as a technique that will cure you of all ills, with of course, on the right, your cart, because Yordy, she is there to sell you things, above all. So, it&apos;s not very serious. But I said it earlier: honestly, I don&apos;t think NeurOptimal is lying about the FDA&apos;s evaluation of NeurOptimal. But in my opinion, it is oversold, so it is important to understand exactly what it is and how it works. The U.S. Food and Drug Adminstration has approved neurofeedback for relaxation training and the American Pediatric Academy has endorsed neurofeedback as a “Level 1/Best Support” treatment for children with ADHD. (...) Because neurofeedback has been time-tested, it is also very safe. Respected institution such as the U.S. FDA and the American Academy of Pediatrics have endorsed neurofeedback. 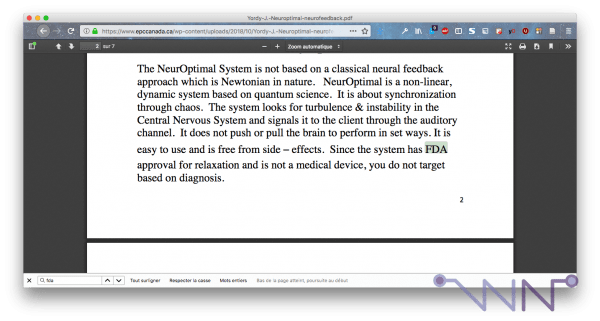 The problem is that, to my knowledge, the FDA has not approved Neurofeedback (on the other hand, Biofeedback is subject to regulation and the EEGq NeuroGuide database is approved as well as many EEG-(Neurofeedback) materials). It would be NeurOptimal that would be approved for relaxation. On the other hand, the American Pediatric Academy has clearly recognized that neurofeedback is a therapy of choice for ADHD. So, we have a sentence that happily mixes NeurOptimal and Neurofeedback and Zengar&apos;s representative tells us : it&apos;s not the same thing. The CDRH defines general wellness products as products that satisfy the following two factors: (1) are intended solely for general wellness purposes, as defined in this manual, and (2) pose a low risk to the safety of users and other persons. General wellness products may include exercise equipment, audio recordings, video games, software, programs and other products that are generally, but not exclusively, available from retail establishments. "The CDRH&apos;s general wellness policy applies only to low-risk general wellness products. If the answer to any of the following questions is YES, the product is not low risk and is not covered by this guidance. Does the product involve an intervention or technology that may pose a risk to the safety of users and others if specific regulatory controls are not applied, such as risks related to lasers or radiation exposure? NeurOptimal is not invasive, nor implanted, and does not use any laser or radiation, so for me it fits this definition perfectly. Therefore, NeurOptimal, according to the FDA, would be a "low-risk general well-being" product. The FDA has finalized a directive stating that it does not plan to review low-risk "general wellness products", such as portable fitness monitors or sleep monitors, and will not require them to comply with regulatory requirements before and after marketing. I continued to dig and came across this document, a presentation of 40 slides on this type of product, which seems to be along the same lines: there is no need for a statement to the FDA. And let us not forget: as French people, the FDA&apos;s decisions do not concern us. Europe often has stricter policies than the USA. So it&apos;s a clue, a lead, not evidence. Because between the American approach and our European approach, there can be a world. Well, so I asked the FDA directly, by sending them an e-mail. This communication is intended for the exclusive use of the recipient(s) named in this correspondence. It may contain information that is protected, privileged, or confidential, and it should not be modified. It may not be disseminated, distributed, reproduced, or copied to persons not authorized to receive such information. So I&apos;m going to assume that I&apos;m not allowed to show you a copy of the email I received. 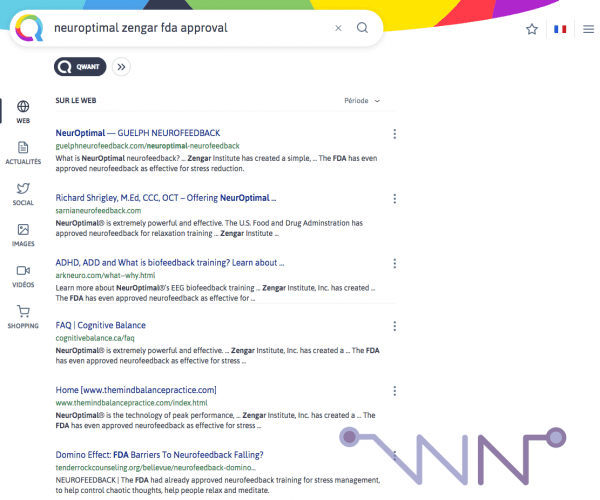 I am looking for information about the NeurOptimal material (https://neuroptimal.com) of the company Zengar. It would have been evaluated by the FDA as a relaxation device. Could you give me a link to check if the FDA has actually evaluated the NeurOptimal and what are your conclusions? In addition, is it an assessment of its effectiveness, or simply a statement of its safety? The answer I received is consistent with my research: I could not find any information about the NeurOptimal device in any of our public databases on medical devices, including the Registration and List database. So it&apos;s no surprise, NeurOptimal is not a medical device and the FDA only manages that. The person suggests that I submit a Freedom of Information request, but since this request is not free, I will skip my turn. What I suggest in my articles is that you look at the evidence and discuss it. I have brought some elements comparing NeurOptimal&apos;s statements with the reality of the FDA, it is up to you to make your own opinion, now. This is the second big piece, NeurOptimal recognizes the therapeutic benefits of Neurofeedback. "Therapeutic" refers to a "part of medicine that deals with the means -medicinal, surgical or other- to cure or relieve diseases" (Larousse). So it&apos;s a word backed by medicine, based on science. 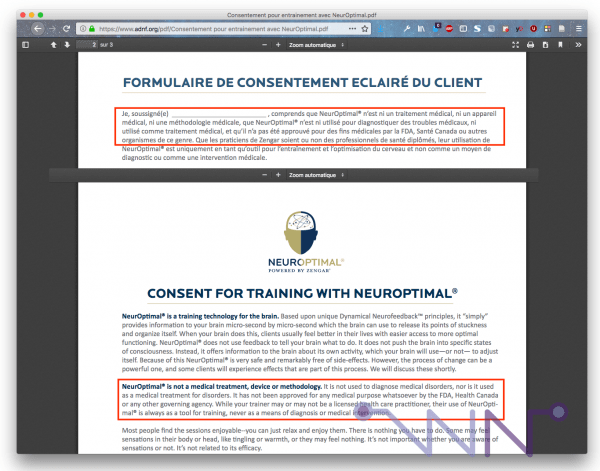 If in France, Neurofeedback is not recognized as medicine (we do not treat, we do not establish a diagnosis and we do not practice medicine), no doubt that in view of the progress of scientific research, this practice will gain its letters of nobility and I hope that one day, diplomas / training will be imposed to practice Neurofeedback. If only to protect the patient, or even to allow the reimbursement -even partial- of training by Neurofeedback. In contrast, NeurOptimal is presented as a practice of "well-being". When people talk to me about well-being, I think of a person lying down with two slices of cucumber on their face with someone massaging her. Or, to me in the sauna, to wonder how I can survive at 90°C in an ultra-poor water atmosphere. And to tell me that I would have to try whole body cryotherapy at -145°C (by the way, it&apos;s a real medical practice in the treatment of chronic pain, so relaxing), to see what it&apos;s like to live a 235°C delta temperature. Relaxation is a bit like that for me. You have a good time, you relax, you&apos;re more rested on the way out. But if you were ADD at the entrance, you are ADD at the exit. The same goes for epileptics. So it&apos;s great, I&apos;m going to stop receiving insulting emails telling myself that I&apos;m only talking crap about the NeurOptimal. Finally, I touch wood and cross my fingers. I have regained the trademark registration for the "Dynamical Neurofeedback". This is not new, it dates from 2011 and Zengar is kind because he specifies that he does not claim the exclusive use of the word "Neurofeedback". We didn&apos;t get far from the disaster! Please do not validate the conspiracy to justify your lack of knowledge. So at the limit, I&apos;d tell you, why not. Zengar is the only entity to speak of "dynamical neurofeedback" and "linear neurofeedback". He boasts of being the "first dynamical neurofeedback", but well, since it&apos;s the only one, it&apos;s easy. Crazy theories on the net, there are thousands of them. In general, when I start talking to these people, I end up being insulted and called a scientist who is involved in a global plot where scientists would try to discredit these "innovative" theories. The person who doesn&apos;t speak English and who has never read a scientific article in his life (but he thinks he has relevant information for scientists, while he hasn&apos;t even read their writings), duh... and he wrote a book. As I was saying here, books are not proof of quality. Again, all I&apos;m suggesting to you, in these articles or when I&apos;m talking to you, is to look at the evidence and discuss it. Proof is an experiment under controlled conditions, which can be analyzed objectively. That&apos;s not what anyone says, even if they&apos;re a scientist. It is an argument of authority, a rhetorical figure of manipulation. In this example, between the theory largely denied by science (electromagnetism and DNA), the conspiracy approach (the dogmas of science are false), the absence of proof of what it claims, the big pharma conspiracy, or the non-evidence-based method of knowledge.... it was a winning third. 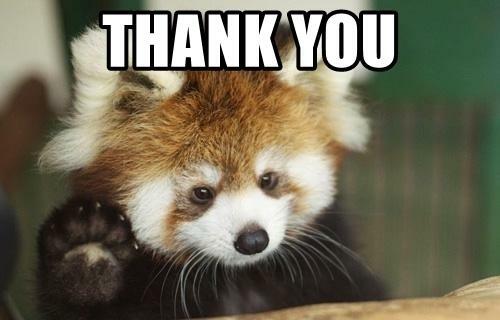 Despite everything, this time the person remained quite polite. I wish him to continue working, using science to refine what is currently an opinion, fed by fake news. Maybe not everything is good to throw away in the 200 pages of his book. In the subject we are interested in, we are facing Zengar who sells a machine that is based on a concept not verified by science (because they do not communicate on it, easy, impossible to build proofs for or against) and who is convinced to save the world. You see the parallel with the previous case? There is still a little something that bothers me about this notion of "dynamical neurofeedback". You know, it&apos;s like the French expression "homeopathic vaccine". In one case, we have the vaccine, which is an extraordinary scientific breakthrough that has saved and continues to save millions of lives every year. On the other hand, we have a "homeopathic vaccine" that is only a sugar cube. There is therefore an extremely precise scientific term, with another invented word, that completely changes the meaning of the entire expression. And frankly, if it&apos;s not to mislead non-scientists, I don&apos;t know what it can be. For me, it is really intellectual dishonesty to use this kind of argumentative practice. NeurOptimal is not based on the principles of Neurofeedback, it is not Neurofeedback, why then insist on using this word in their communication if not to try to confuse people and try to benefit from the clinical effectiveness of Neurofeedback? 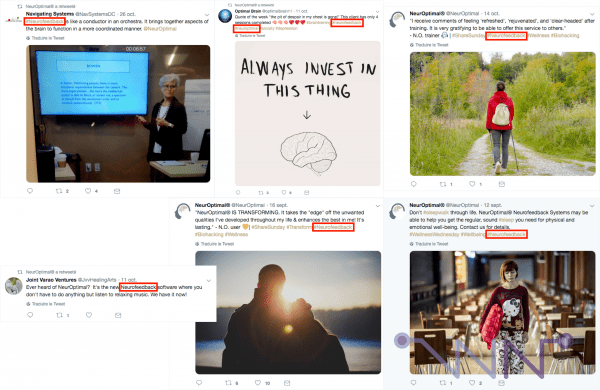 And besides, I went through NeurOptimal&apos;s communication a little bit and the confusion is still there today, skilfully maintained, as we can see with these very recent examples from NeurOptimal&apos;s Twitter page. In other words, hashtag #Neurofeedback is used extensively, even though it is no longer supposed to be. was it the non-hazardousness that was assessed? is it the benefits provided? is it the scientific evidence? is it just the marketing speech? During the writing of this article, I was contacted by a person, who was looking for advice, because she did not want to buy her "machine" at the Neurofeedback Training Institute where she had followed the training. It took me a few emails and a little insistence to get this person to admit that his "neurofeedback training" had been done at Zengar and that she was therefore absolutely not trained in Neurofeeback, but only in the use of NeurOptimal. She herself being convinced that she is really trained in Neurofeedback. It&apos;s sad and I feel sorry for this person. As I said in a previous article, in general, people who practice NeurOptimal really want to help, they were just badly advised. To conclude this article, I suppose, if I really wanted to be picky, I would publish a screenshot of the home page of the website of this person who writes in black and white "today we must absolutely dissociate Neurofeedback, which is a therapeutic practice, from dynamical Neurofeedback, which only concerns NeurOptimal®, a "well-being" practice". 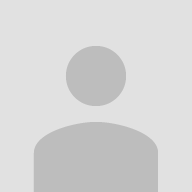 * These sharing buttons are respectful of your privacy and avoid tracking by social networks. Avez-vous seulement essayé de faire quelques séances de Neurofeedback Dynamique pour vous faire une idée ??? Vous pourriez être surpris de ce que cela pourrait produire sur vous, bien au delà de la simple relaxation. Parce qu&apos;il y a des tonnes de preuves et d&apos;expériences scientifiques sur certains médicaments par exemple, et pour autant ils sont délétères. L&apos;important n&apos;est-il pas le résultat ??? Votre débat n&apos;est, en ce sens, pas inintéressant. Mais avant de critiquer et de dire que cela n&apos;apporte aucun effet sur les TDA ou épileptiques, l&apos;avez-vous seulement testé ??? C&apos;est ce que j&apos;ai fait, partant avec un a priori négatif, étant sceptique. Et les effets ont été inespérés. Le fait qu&apos;ils soient inexplicables ne veut pas dire qu&apos;il n&apos;y a pas d&apos;effets. Je pourrais en dire tout autant sur la ritaline qui est prescrite à tort et à travers, qui a des résultats inexistants voir négatifs. Pourquoi tant de hargne sur une technique qui a le mérite de faire enfin du bien et qui ne peut être cataloguée tellement elle est globale? Honnêtement, il pourrait être intéressant de vous laisser surprendre par les effets en faisant quelques séances. On ne parle bien que de ce que l&apos;on connaît bien, non? La question de mon témoignage concernant mon expérience avec NeurOptimal semblant importante pour vous, je vais y répondre : oui, j&apos;ai essayé NeurOptimal. A vrai dire, j&apos;ai découvert NeurOptimal (il y a plus de 5 ans) dans une association -où je suis bénévole- qui a eu l&apos;un des premiers systèmes en France. Notre vice-président était un représentant et instructeur NeurOptimal, qui a d&apos;ailleurs fondé un centre NeurOptimal. Suite aux discussions que j&apos;ai eu avec lui et probablement d&apos;autres choses, il a complètement lâché Zengar et NeurOptimal (pour partir sur une autre pratique probablement aussi peu scientifique, mais passons). Alors, je me dis, si de mon expérience personnelle, je n&apos;ai eu aucun effet de NeurOptimal et que si la personne qui a nous vendu le système (et faisait des formations dessus) il y a plus de 10 ans, lâche à présent NeurOptimal, qu&apos;en penser ? Que ce système ne fonctionne pas. Voilà mon témoignage. Mon côté scientifique vous parlerait de l’impossibilité du fonctionnement du système et des allégations mensongères, mais c&apos;est le sujet de mes autres articles que je vous invite à lire. Donc oui, je connais bien NeurOptimal, j&apos;ai utilisé la machine et j&apos;ai eu un représentant et instructeur pour en discuter avec moi. Je l&apos;ai même utilisé pour voir comment elle fonctionnait. Sur la dénégation de la science et de la médecine dont vous faites preuve, je ne vais pas réagir. Je ne comprends pas comment les gens arrivent, à ce point, à remettre en doute la méthode qui a permis l’émergence de la médecine moderne. Après, mon objectif est d&apos;informer ceux qui doutent, pas de rallier ceux dont les croyances sont cristallisées et hermétiques à toute discussion basée sur les preuves. Et jusqu&apos;à présent, je n&apos;ai aucune preuve de l&apos;efficacité de NeurOptimal. Donc non, ce n&apos;est pas une "technique qui a le mérite de faire enfin du bien et qui ne peut être cataloguée tellement elle est globale", car cela est une affirmation apportée sans preuve, qui peut donc être réfutée sans preuve. C&apos;est la base de l&apos;esprit critique, que j&apos;essaie d&apos;enseigner à mes lecteurs, certes sous le prisme de cet exemple précis. Et sinon, pouvons-nous discuter du fait que vous n&apos;êtes pas une personne contente de NeurOptimal (comme semble le faire croire votre commentaire), mais une personne qui vend des formations NeurOptimal et vend des séances de NeurOptimal (en usurpant les recherches sur le Neurofeedback sur votre site, ce que Zengar vous demande à présent d&apos;arrêter) ? 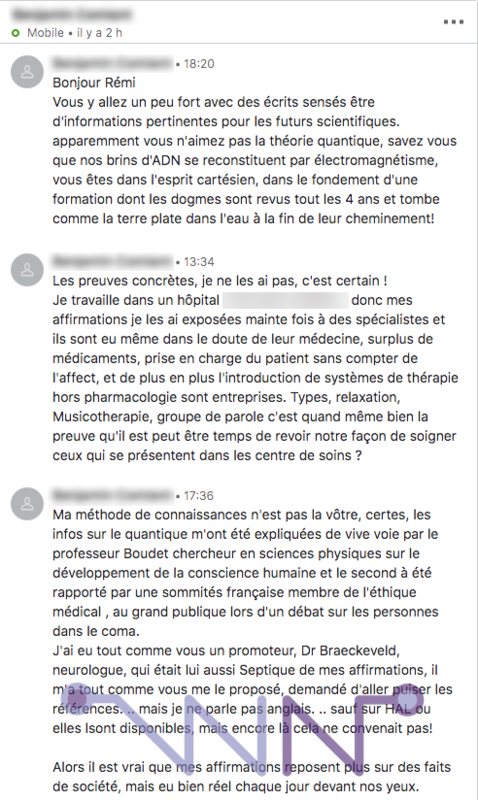 Je n&apos;aborderai pas votre formation de psychanalyste, mais sachez que j&apos;ai longuement étudié cette pratique au cours de mes travaux de thèse et que la psychanalyse aussi, est une pratique pseudoscientifique. Qui a fait énormément de mal aux autistes en France et il me semble que la profession est au cœur d&apos;une polémique actuellement, pour son refus d&apos;appliquer des principes issus de la science. Déclarer vos conflits d&apos;intérêts à mes lecteurs est la moindre des politesses, plutôt que d&apos;essayer de les manipuler avec un commentaire incomplet. On ne parle effectivement que de ce que l&apos;on connait bien et visiblement, vous connaissez mal la science et la médecine. Bonsoir Monsieur, vous semblez être completement obsédé par NeurOptimal®. Je vous remercie de m’avoir cité, vous auriez pu ajouter mon nom sans problème puisque je suis l’auteur du mail que vous mettez en ligne. Pardonnez-moi mais, cette obsession dont je parle et dont vous faites l’objet est me semble-t-il très malsaine d’autant plus que vous ne maîtrisez absolument pas du tout le sujet et que tout vous échappe. Votre compréhension des systèmes non linéaires est nulle. Votre compréhension des systèmes intelligents et auto-organisés est nulle. Votre connaissance des systèmes holonomiques est nulle et vous vous permettez d’écrire de manière obsetionnelle des papiers que je vais m’empresser d’utiliser à bon escient dans la plus petite pièce de ma maison. On m’avait pourtant dit que vous n’etiez que très peu calé en la matière, je vous prie de croire que vos détracteurs sont loin du compte. À présent Monsieur, je vous invite à regarder très clairement les résultats et témoignages observés avec NeurOptimal® au niveau mondial, sans faire preuve de petitesse. Oseriez-vous les contredire et vous enfoncer davantage ?NeurOptimal® est très fier d’etre un outil de bien-être, qui à nos yeux représente tellement ! Allez-dire Monsieur Chassenot, à tous les parents d’enfants que nous accompagnons et qui remercient le ciel d’avoir découvert NeurOptimal®, qu’ils se trompent... en fait vous savez quoi, votre parole, contre leurs avis, n’a aucune importance. Nous sommes très en avance sur la compréhension des mathématiques dynamiques non linéaires et notre but n’a jamais été de monter sur la marche de ceux qui ne vivent que par la reconnaissance scientifique ! Notre but est bien au delà est je trouve que l’etroitesse d’esprit dont vous faites preuve est juste dommage pour vous car vous passez à côté de quelque chose de fondamental dans une vie humaine. Au lieu de cela, vous semblez péniblement vous accrocher à une démarche pseudo-scientifique sans observer le réel bonheur que NeurOptimam® procure dans la vie des gens. J’en ai presque de la peine. Je vous souhaite tout de même une bonne continuation car malgré tout, oui je suis pressé de lire votre prochain article sur NeurOptimal® qui, comme les précédents j’en suis sûr, me fera probablement bien rire. - un travestissement de la méthode scientifique que vous essayez de faire passer pour pseudo-scientifique. En discutant avec des professionnels de la santé, on note aussi que votre message relève de la manipulation, avec des techniques classiques décrites dans les études de psychologie. Cela se traduit par un déplacement du débat factuel sur le terrain émotionnel pour tenter de faire croire que le monde est contre moi, visant in fine à un apitoiement sur mon sort, mais comme vous avez bon cœur, vous me souhaitez malgré tout bonne continuation. Ces techniques de manipulation ne fonctionnent pas ici et sont typiquement utilisées comme ligne de défense des manipulateurs qui se sentent menacés. Alors, merci de vous exposer en public, cela servira également à mes lecteurs. Au final, vous ne m&apos;apportez aucune information sur NeurOptimal, son mode de fonctionnement ou même des études en conditions contrôlées qui me permettraient de revoir mon jugement. 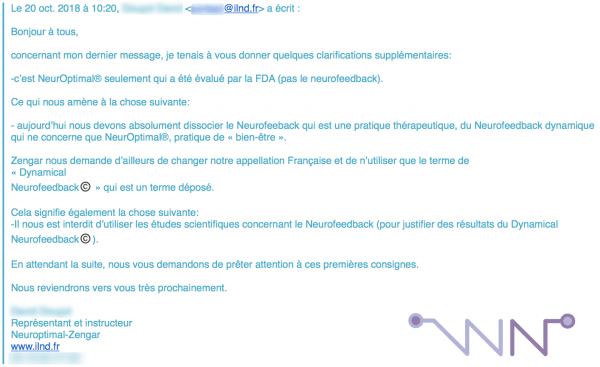 Voir sur le sujet de la FDA ou la confusion NO/Neurofeedback sur votre site (alors que vous demandez à votre communauté de ne pas le faire par mail), qui sont quand même centraux dans mon article... votre commentaire est donc vide de sens. C&apos;est pourtant tout ce que j&apos;attends, car mon objectif est d&apos;informer. Cet espace commentaire est là pour informer les lecteurs, donc vous pourriez très bien leur apporter des éléments factuels sur la méthode ? Des études ? Donc, que mes utilisateurs voient réellement ce que les experts de NeurOptimal disent et veulent montrer de leur démarche. Cher Monsieur, toutes mes excuses si vous vous sentez vexé par mes propos ! Mais vous connaissez sans doute le dicton: « Chacun sème ce qu’il récolte » ! Croyez-moi, si j’avais voulu vous insulter je n’aurais pas employé ce vocabulaire là. Donc non, je ne vous ai pas insulté, car votre avis ne m’interesse d’ailleurs pas du tout en réalité. -2 la comparaison est vaine car tous deux ont des qualités et des points faibles, nous le savons tous. -3 je ne prétends pas qu’un vélo soit une moto. -4 je n’empeche personne de faire de la moto donc j’attends des motards qu’ils me foutent la paix quand je fais du vélo. -5 je ne cherche pas à faire la course avec une moto, ce n’est pas mon but (qui reste principalement la balade). Je veux par cet exemple un peu idiot de ma part, vous montrer à quel point vous vous battez contre des moulins à vent sans avoir pourtant suffisamment d’ouverture d’esprit, de spiritualité, d’imagination et de poésie pour le faire. Je ne vous en empêcherai pas, cela vous regarde. Je ne prétends pas avoir plus de maturité que vous sur le sujet monsieur Chaussenot, je dis juste que notre point de vue et notre regard diffèrent et que cela ne fait pas de nous des ennemis qui devraient par définition s’opposer l’un à l’autre. Je respecte votre pratique professionnelle et vos outils de travail même si je prétends qu’ils sont très largement aujourd’hui dépassés, mais vous remarquerez que je ne les attaque pas ! En retour, j’attends de vous la même chose, qui entre nous soit dit, ne peut que vous grandir davantage. On ne sort jamais glorieusement vainqueur de s&apos;être sali les mains à enfoncer quelqu’un dans la boue. Je prends bonne note que mon avis ne vous intéresse pas, donc que vous passez ici du temps pour une chose qui vous semble inutile. Je prends également bonne note que vous confirmez que le NeurOptimal n&apos;est pas validé par la FDA, contrairement à ce que vous écrivez à votre communauté. Je prends également bonne note que vous confirmez que NeurOptimal n&apos;est pas du Neurofeedback, contrairement à ce que vous écrivez sur votre site. Sur mes qualités propres, cela ne vous regarde pas, en effet, nous sommes d&apos;accords. Je note aussi qu&apos;aucun vendeur de vélo n&apos;a jamais fait la promotion de son produit en utilisant les caractéristiques d&apos;une moto (vitesse, distance parcourue....), contrairement à ce que vous faites avec le NeurOptimal et le Neurofeedback, la métaphore n&apos;est donc, absolument pas valide. 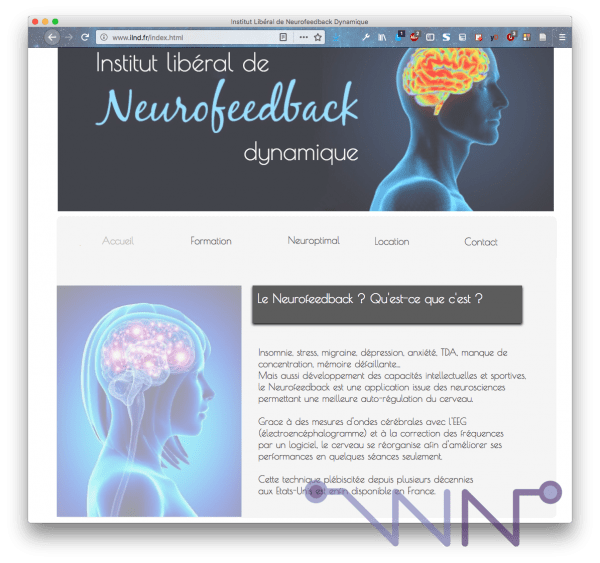 - le NeurOptimal n&apos;est pas du Neurofeedback. Je continuerai, via mon réseau, de mettre en lumière tous les praticiens NeurOptimal qui usent des études sur le Neurofeedback pour promouvoir la solution NeurOptimal. Je continuerai également, de me renseigner sur l&apos;aspect juridique concernant NeurOptimal, qui prône une efficacité sur des maladies (dépression, TDA par exemple, dans le cadre de votre site) alors que c&apos;est du matériel non-médical, qu&apos;aucune étude scientifique n&apos;appuie ces allégations et voir si cela peut-être considéré comme de la publicité mensongère ou de la pratique illégale de la médecine. Je respecte votre pratique professionnelle et votre outil de travail, en revanche, si celui-ci utilise les résultats du Neurofeedback pour se promouvoir, je serai présent pour le dénoncer. NeurOptimal est un outil de bien-être qui n&apos;a aucune action médicale démontrée et ne repose pas sur le paradigme du Neurofeedback, vous l&apos;avez confirmé : à présent, que votre communauté se mette à jour pour refléter cela. Tant que ce ne sera pas fait, je continuerai à dénoncer vos pratiques, qui nuisent à la pratique du Neurofeedback. votre entêtement, probablement commandé par votre hiérarchie (je me demandais à qui profitait le crime, j’ai eu ma réponse) comme j’ai pu le constater plus tôt dans la journée sur votre forum, vous fait inventer des choses que je n’ai jamais écrites, dites ou pensées ! -La FDA a validé NeurOptimal® comme outil de bien-être. Là où je vous donne raison, c’est que Neuroptimal©️ n’est pas une thérapie. (Relisez bien ces quelques lignes, copiez les et diffusez les). -Une bonne alimentation contribue à une meilleure santé: Cela ne fait pas d’une tomate un médicament ? -le yoga contribue à être moins stressé: Cela ne fait pas du yoga une thérapie ? -le sport améliore la santé générale: Cela ne fait pas du sport une médecine ? -NeurOptimal©️ est une méthode d’entrainement cérébral qui contribue à tout cela: Ça n’en fait ni un médicament, ni une thérapie, ni une médecine ? Il n’empêche que cela y contribue, que vous soyez d’accord ou non ! Alors, là, vous m&apos;intéressez. Pouvez-vous m&apos;apporter des preuves que la FDA a validé NeurOptimal comme outil de bien-être ? Je leur ai demandé directement et ils me répondent que non. C&apos;est donc votre parole contre celle de la FDA. Si vous m&apos;apportez la preuve du contraire, je dois modifier mon article qui en deviendrait faux. Mon formulaire de contact vous est ouvert, je vous remercie d&apos;avance. Je comprends bien le flou que vous voulez entretenir avec l&apos;expression "neurofeedback dynamique", cela ne me dérange pas : ce qui me dérange, c&apos;est quand sur un site NeurOptimal, vous utiliser allègrement le terme "neurofeedback" seul, ce qui pousse à la confusion. Sur les exemples que vous donnez, l&apos;impact de l&apos;alimentation, du yoga et du sport ont fait l&apos;objet de validation scientifique. C&apos;est donc correct. Pour NeurOptimal, aucune validation scientifique n&apos;existe. La métaphore est donc encore une fois fausse. Donc, retirez toutes références à des maladies sur vos sites, ce n&apos;est pas correct, cela ne se base sur aucune preuve, si ce n&apos;est votre témoignage. Et un témoignage n&apos;est pas une preuve. Et encore une fois, ce n&apos;est pas à moi d&apos;apporter la preuve de l&apos;inefficacité de NeurOptimal, c&apos;est à vous d&apos;apporter la preuve de son efficacité, via des études sérieuses. Et je le redis encore une fois : je suis sous le statut de micro-entrepreneur, mes seuls revenus viennent de ma pratique du Neurofeedback avec mes clients. Je n&apos;ai pas de hiérarchie, je suis à mon compte. Et je n&apos;ai aucun conflit d&apos;intérêt avec des instituts de formation, des fabricants de matériel de Neurofeedback ou que sais-je. Arrêtez de voir du complot partout, je suis simplement un praticien en Neurofeedback qui essaie d&apos;éviter qu&apos;une solution non basée sur les preuves scientifiques méprennent les gens. Comme je vous le disais, les praticiens NeurOptimal utilisent les résultats scientifiques et la terminologie du Neurofeedback sur leurs sites. Dissocier proprement votre pratique de la mienne et effectivement, je n&apos;aurai plus rien à dire. Mais tant que ce ne sera pas le cas, votre publicité sera considéré comme mensongère et proche de la pratique illégale de la médecine, ce que je le redis, je dénoncerai afin d&apos;éviter aux gens de confondre les deux. NOUS, praticiens NeurOptimal©️, ne risquons absolument rien quant à la pratique illégale de la médecine, puisque nous sommes reconnus technique de bien-être (donc rien en commun avec la médecine) et le revendiquons haut et fort. Par contre VOUS, c’est tout autre chose: vous n’etes PAS thérapeutes alors que vous prétendez l’être. Oui je parle de naïveté car je ne sais pas qui vous a fait croire qu’une technique même sous ordonnance d’un médecin était une technique reconnue par la médecine... qu’une technique en etude dans les hotpitaux était reconnue par la médecine, qu’une technique dont certes les études sont nombreuses était une technique reconnue par la médecine !!! TOUT ÇA est faux monsieur Chaussenot. C’est peut-être vrai ailleurs mais en France c’est faux. Seule une pratique dite thérapeutique mais encadrée par un médecin lui même présent dans cette pratique est autorisée afin d’être étudiée et reconnue. nous ne formons pas des thérapeutes et sommes une technique de bien-être donc ne craignons rien puisque nous ne prétendons PAS appartenir à la catégorie thérapeutique contrairement à vous qui vous exposez en France précisément à ce genre de danger. Ça paraît pourtant simple à comprendre mais visiblement pas pour tout le monde. Dernier détail renseignez-vous un peu mieux quant à notre appartenance à la FDA. (Je vous imagine repeser méticuleusement votre KG de tomates une fois arrivé à la maison en prétextant que le vendeur n’a mis que 998g en criant au scandale et en l’insultant d’être un voleur). Bref quand vous l’aurez trouvée cette preuve tant attendue (par vous seulement), faites en part à vos quelques lecteurs. Enfin sachez que vous pourrez me répondre tant que vous voudrez, me donner tort, nous donner tort, nous traiter de tous les noms... je n’ouvrirai plus votre blog qui m’a amusé ce jour mais qui m’a également fait tellement perdre mon temps. Donc en gros, dès que je demande des preuves, c&apos;est le moment de fuir. Même quand la FDA dit l&apos;inverse de vos allégations. Bon, sujet clos donc, aux lecteurs de se faire leur avis. Désolé parce que mon intervention n&apos;est pas en français, mais je me sens plus à l&apos;aise en anglais. Pour autant que je sache, les témoignages ne sont pas une preuve scientifique. Les études scientifiques sont-elles une vérité absolue ? Absolument NON. Mais elles sont meilleures que de simples opinions. Je ne sais pas ce qu&apos;est le Neurofeedback Dynamique, ou ce qu&apos;est le Neurofeedback non linéaire... et je ne sais ce qu&apos;ils sont parce que (pour l&apos;instant) j&apos;ai écrit les deux mots dans PubMed et je n&apos;ai rien trouvé. L&apos;utilisation des sangsues au Moyen Âge avait également de très bonnes opinions, mais ce n&apos;était un soulagement pour aucune maladie. Je ne veux pas faire de critique, mais en science, nous aimons éprouver les choses avec des faits et non des opinions. J&apos;espère que personne n&apos;est offensé et que la recherche des faits est intensifiée en utilisant les méthodes que nous pouvons tous reproduire. Je suis américaine et une maman de 3 enfants.Nous vivons en France depuis 3 ans. Mon fils de 14 ans est autistic. Je dois dire que je suis juste scandalisée de lire votre blog! Pourquoi voulez vous détruire un appareil qui apporte de l&apos;espoir la ou justement la médecine ne peut rien faire? Je pense moi au contraire que ce sont les résultats qui comptent, les chiffres restent des chiffres qui bien trop souvent sont déformés parce que les études sont financées par les concepteurs eux mêmes. Lorsque vous vous retrouvez dans des situations sans espoir et que vous ne voulez pas baisser les bras des appareils comme le neuro optimal apportent une solution. Il y a deux ans alors que j&apos;étais bien depressed j&apos;ai trouvé ce système et aujourd&apos;hui grace à cela mon fils communique avec nous. Il était complètement en souffrance, ne communiquait pas du tout et avait régulièrement des effondrements. Il pleurait beaucoup pour rien. Cela a affecté toute la famille. J&apos;étais en depression profonde, croyez moi avoir un enfant différent c&apos;est très dur. Aujourd&apos;hui même si bien évidement l&apos;autism est toujours la, nous arrivons à communiquer avec notre fils, il joue, dessine et a fait d&apos;énormes progrès. Je suis sortie de la dépression et je le dois complètement à cette machine. Qu &apos;elle soit médicale ou non ne m&apos;intéresse personnellement pas. Ce qui compte c&apos;est le résultat . Alors de lire votre jargon de médecin me rend malade. N&apos;êtes vous pas sensé aider l&apos;humanité? Ou cherchez vous à descendre cet appareil parce que vous en vendez vous même? J&apos;espère que ce commentaire vous arrivera car je ne doute pas que vous l&apos;effacerez bien vite! Je vous souhaite bonne chance dans votre combat...avec vous même. Votre témoignage ne sera pas effacé, chacun est libre de s&apos;exprimer. En revanche, je possède des millions de témoignages sur le fait que l&apos;homéopathie soigne des maladies, certains disent même que ça a soigné leur cancer. Dois-je proposer de l&apos;homéopathie à mes amis qui ont le cancer ? Non, car la science a démontré que c&apos;était similaire à un placebo, je risquerai de leur faire plus de mal que de bien. Il est fort probable que le cancer ait été soigné avec autre chose. Dans le cas NeurOptimal, c&apos;est pareil. Il existe d&apos;autres solutions pour traiter le TDA et la dépression, des solutions qui ont fait leurs preuves au niveau scientifique, avec des financements publics et sans aucun conflit d&apos;intérêt. C&apos;est ce vers quoi je vais diriger les gens avant tout. Si un jour NeurOptimal fait ses preuves au niveau scientifique, mon discours changera. Mais à l&apos;heure actuelle, je ne vois aucune bonne raison de conseiller un appareil qui n&apos;a pas fait ses preuves alors que d&apos;autres approches ont elles, fait leurs preuves. Mais tout de même, que proposez vous aux gens qui n&apos;ont pas d&apos;autres solutions ou qui n&apos;ont plus rien à perdre? Je ne pratique pas l&apos;homeopathy mais je connais quelqu&apos;un qui soigne sa thyroid grâce à cela depuis 10 ans car elle ne supporte aucun autres médicaments. La science a peut être démontré que c&apos;était similaire à un placebo mais en attendant elle vit bien et ces millions de gens qui prennent de l&apos;homeopathie aussi apparement! Quant aux placebos cela ne s&apos;applique pas à TOUS les médicaments peut être? Les études faites à ce sujet auraient elles tort? Et puis je doute fort qu&apos;un enfant autistic réagisse par effet placebo au neuro optimal. Savez vous qu&apos;ils sont des centaines d&apos;enfants comme mon fils à avoir eu des effets inespérés grâce à cette machine? Je trouve criminel de vouloir salir une telle invention. Je ne comprends pas en quoi cela vous dérange? ...a moins que VOUS ayez un conflict d&apos;interrêt ! Votre discours ressemble beaucoup aux autres commentaires des partisans de NeurOptimal que j&apos;ai eu sur ce blog. Mon rôle ici est d&apos;apporter des preuves factuelles et concrètes. Vous, vous n&apos;abordez que des témoignages invérifiables en campant sur vos croyances. Cette discussion n&apos;apporte donc aucun élément intéressant à mes lecteurs. Je ne vois rien de plus à ajouter que ce que j&apos;ai abordé dans mes articles et mes commentaires précédents qui répondront à tout ce que vous abordez dans votre commentaire.